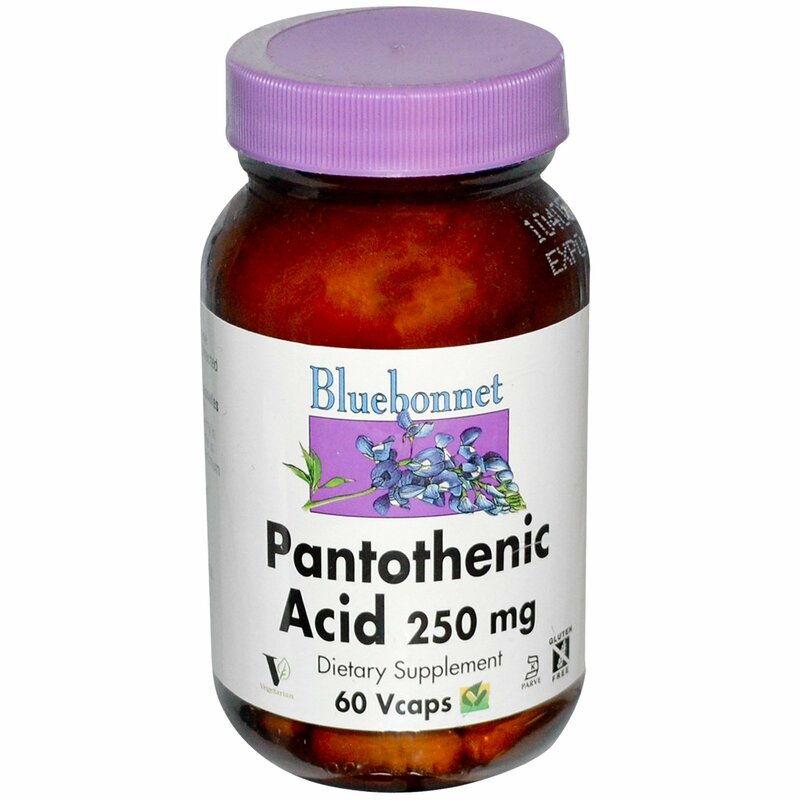 Bluebonnet's Pantothenic Acid 250 mg Capsules provide pure pantothenic acid from calcium D-pantothenate. Tested for potency and purity in our own state-of-the-art laboratory. Available in easy-to-swallow vegetable capsules for maximum assimilation and absorption. 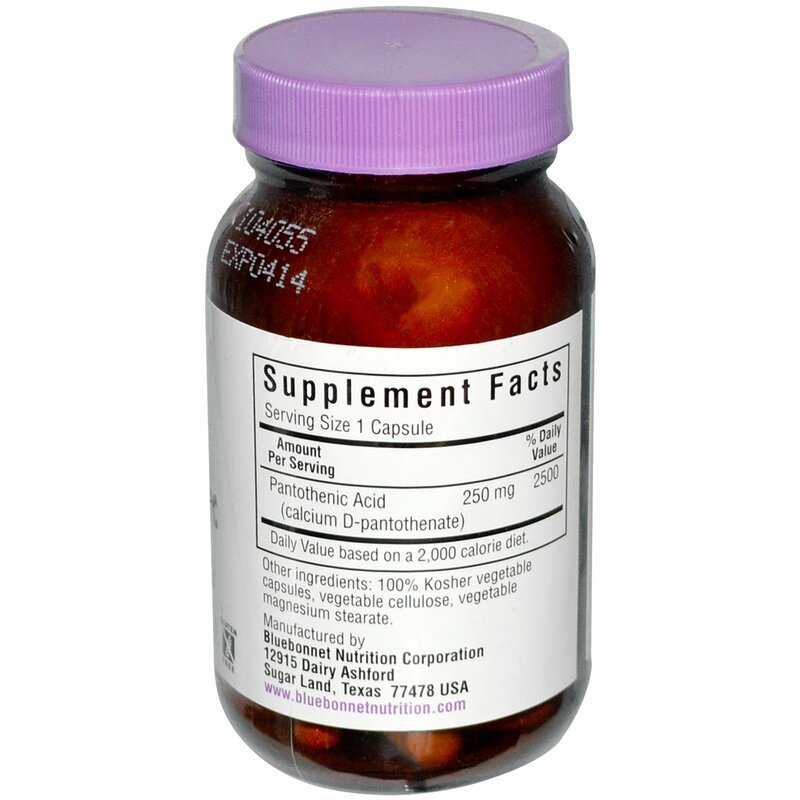 As a dietary supplement, take one capsule daily preferably with a meal or as directed by a healthcare practitioner.